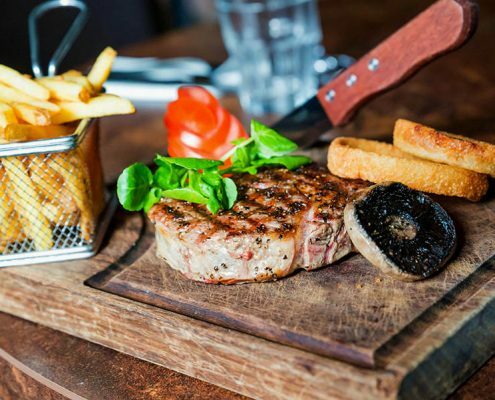 If you’re a fan of high-quality steak which has been cooked to perfection, then the Rose & Crown is probably the perfect steak restaurant in Solihull for you. 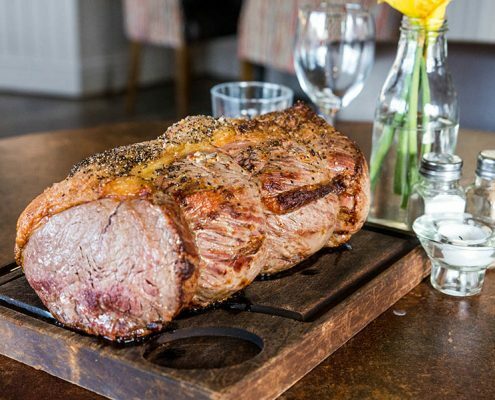 We serve a variety of rump, sirloin and rib eye steaks of different sizes to match all appetites, and of course we will cook it to your exact requirements. 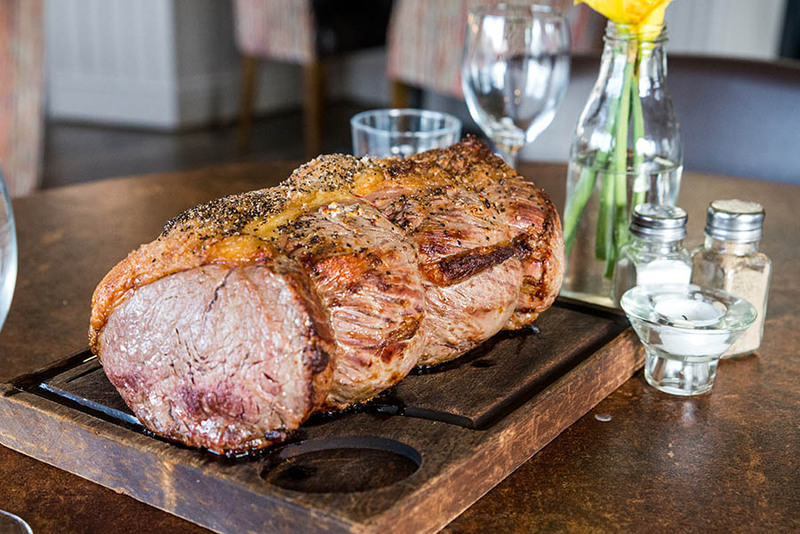 All of our great steaks are served with a potato of your choice, including skin-on chips, sweet potato chips, rosemary and garlic new potatoes, or just standard boiled potatoes. It’s your choice. We also have lots of sauces available, whether you’re a fan of smothering your steak in a great peppercorn sauce or prefer to dip in to some blue cheese, we’ve got several for you to choose from. We also serve a variety of other great dishes straight from our grill. 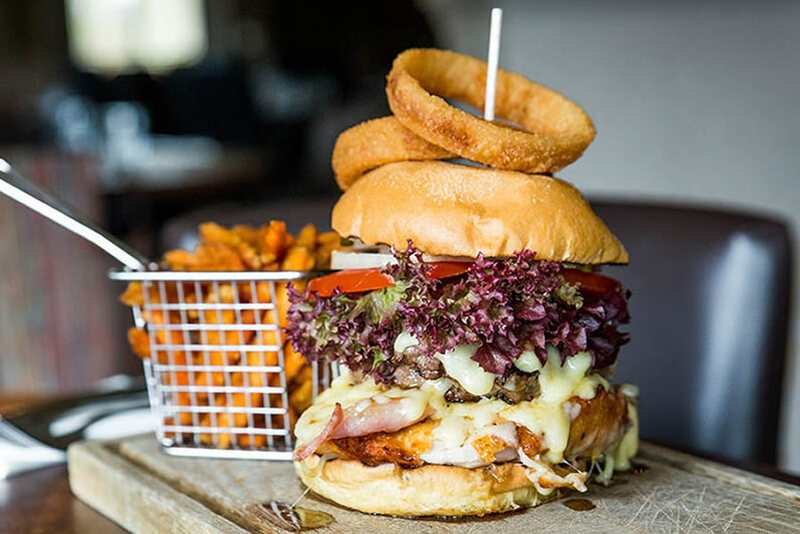 From a selection of fantastic burgers through to both half and full racks of ribs. 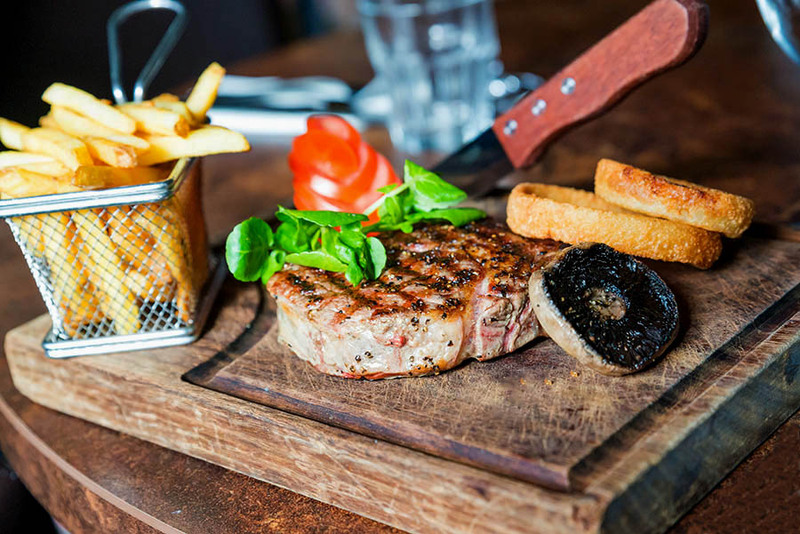 If you’re having trouble deciding which to go for, then why not opt for our all-conquering mixed grill? 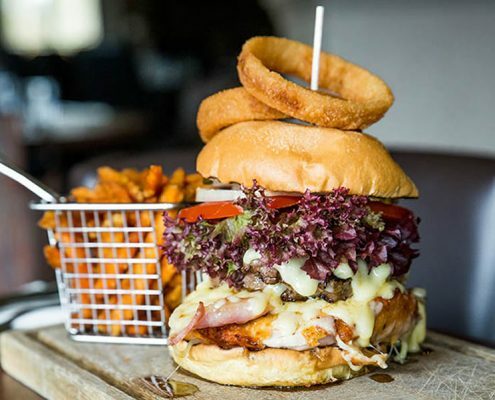 You’ll get rump steak, ribs, pork belly and sausage all direct from the grill, in addition to fried egg and southern fried chicken breast.